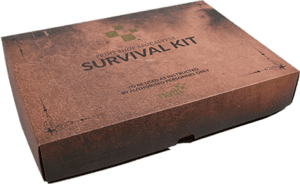 Your survival kit should arrive within a week. Hold tight. It won’t be long now. In the mean time, you have been assigned a dedicated survival officer. They’ll keep you up to date with the latest survival techniques. Get in touch!